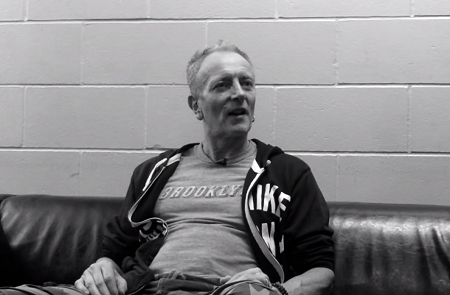 Def Leppard guitarist Phil Collen was interviewed by Illinois radio yesterday and the full audio is available. Phil spoke to DJ Captain Jack of 96.7 The Eagle radio in Rockford, IL to promote the upcoming show in Tinley Park, IL. Phil talked about the 2017 North American tour, the band's longevity, younger fans at shows, producing the Tesla album, new recording techniques and the new Live From Detroit DVD. Phil mentioned the new Tesla album is currently being finished in Sacramento and again spoke about the new Live DVD. "Well the same thing actually got me playing guitar in the first place. Actually it's even more thrilling to be able to do this at this level. We're the best we've ever been. The band Def Leppard is the best it's ever been and it's just really exciting to go out and show that and to see people's reaction. Otherwise we wouldn't be out there. We've never split up. We've always had kind of integrity and kind of ambition and just love what we do and I think it shows in the fact that people come and it's getting more and more people each time we go out on tour." "So that to me is really exciting and to think that I'd still be able to be doing this. I just turned 59 you know, I feel great and the fact that I'm in this band. I can't even believe would sound this good you know it's like honest it's a dream come true. Like I said we get better every year so it's amazing." "Absolutely, actually we've been doing it for over the past year touring together. So you know we'd be like backstage in a hotel room, playing guitars on the back of the bus and really doing that. Really working hard but we're actually just finishing it off now and it's actually phenomenal as well. I'm hearing it described as the rock version of Sgt. Pepper, that's the best I've heard. You know and it's just a very powerful album. The guys are amazing and it's just great to be part of it. So we're all thrilled about that and the fact that we actually get out and go on tour again. I'm actually up in Sacramento at the moment you know staying with the guys and just recording every day." "For ten years I've been recording straight on to my Mac laptop. Even some of the Def Leppard stuff. You don't have to say this is a demo, we have to go to the recording studio. You get stunted and the flow gets broken. All the time when you have that. But actually just go OK, I've got this great idea and it immediately becomes the master of the record if you like. So that's very inspiring I think and actually working with other artists." "You know all the guys in Tesla. We actually cut that out. We actually just get straight into the meat of it you know which is the songwriting, and the performance and all of that. You really lose a lot of inspiration and a lot of great playing and performances by waiting around and spending too much time on all that technical stuff. So that's what it's allowed us to do these days. The fact that you can actually record it on your iPhone. Put it on to a laptop whether you're using Garageband or whatever you wanna use and before you know it it's actually comes out on the record. That's great you know, that's perfect." "Again you know everyone has been telling us and coming up to us during the last tour saying this is the best we've ever seen you guys. You know we saw you in the 80s, the 90s, early 2000s and by far you play better, you sing better, you look better. Everything is great. So we decided to document it really. Record a live show and the first show that actually sold out was the DTE Detroit show. So we thought that would be an apt venue to record it you know and it turned out fantastic. I loved the job that the people who filmed it and everything and all the editing and everything was just amazing. It was just highly professional and yeah just love it. So I'm excited about that as well."